These domain names sold on NameJet last month. NameJet sold 55 domains for at least $2,000 last month, bringing in a grand total of $239,000 for these $2k+ domains during the summer doldrums. Among the domains are some with a bit of nostalgia. One will be nostalgic to the huge swath of DNW readers who were alive during the great depression. The other is nostalgic for people who grew up in the late 80s and 90s. Below are some of the sales that caught my attention, and the full list follows. TajMahal.com $29,999 – This was the top reported sale of the month. I wrote about it earlier; the domain sold on NameJet for $50,000 in 2009. WCDM.com $10,199 – In a cursory review, I’m not sure why this domain sold for so much. It was once developed (many years ago) and WCDM.org is developed, but nothing pops out as justifying five figures. Any ideas? Ethex.com $9,110 – Ethex is the name of a cryptocurrency service and a charitable giving site, both of which might want to upgrade to this domain. Unhackable.com $4,801 – A great domain for a security firm or security marketing campaign. Sponsor.org $4,288 – Goes perfectly with .org. 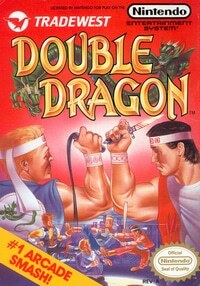 DoubleDragon.com $2,600 – Hey, if old video games are now worth money, why not domain names related to old video games? NewDeal.com “originally registered in 1933” . I get it. Funny! Unhackable. Great way to insure you’ll be messed with forever.